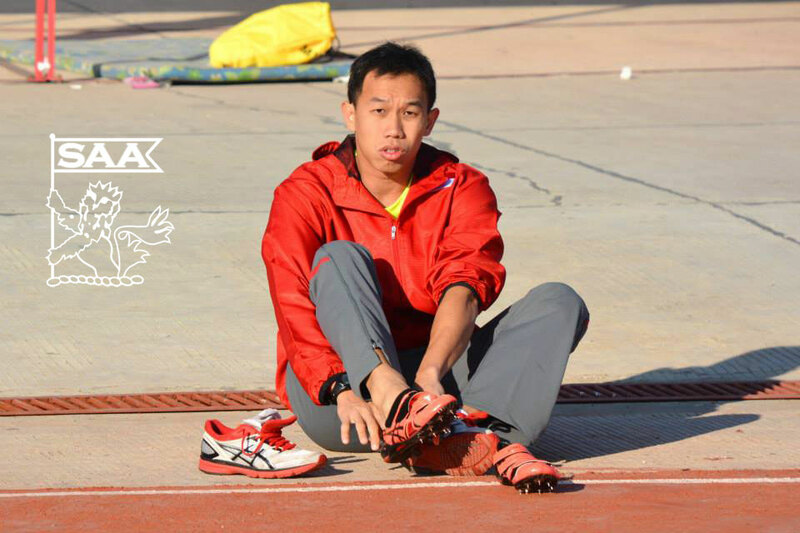 Poh Seng Song will be representing Singapore in the Men 100 Meter Dash Open at the 76th Singapore Open Track & Field Championships 2014. Here’s is his profile awareness of our selected National Athletes for the competition. All my preparations for my upcoming races (which includes Singapore Open) is ultimately to run well for the 2015 SEA Games. Currently, Singapore Open is one of the races to see my current form at this stage of my training for SEA Games. In terms of expectations, I am just looking to run the best for my country! Hmm… Haha I really dunno how to answer this question, but I guess the reason why I am still running is my love and passion for track and field and the honour and glory to be able to represent my country. All these and keeping in mind the goals set out for SEA Games next year. Running since 9 years old, ever since primary school teacher made me switch from badminton to track and field, ever since I won the school sports day!